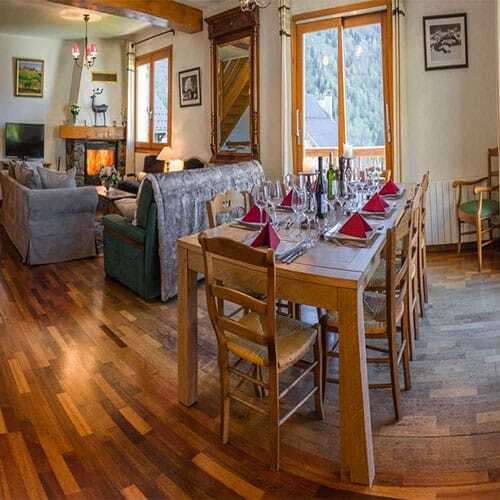 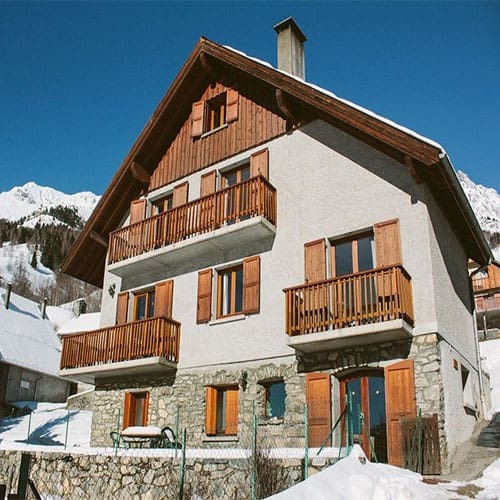 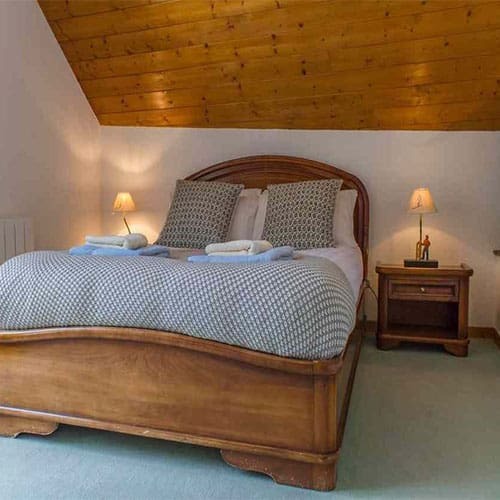 Chalet Lucette ( catered or self-catered ) – is perfect for hosting a couple of large families or for smaller guests looking for a room or two. 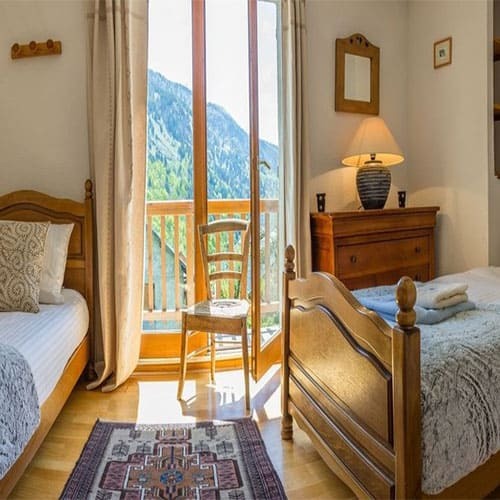 Wake up to stunning, uninterrupted views of rugged, snow-covered mountains sloping off to the valley below from the balconies of this comfy, modern chalet. 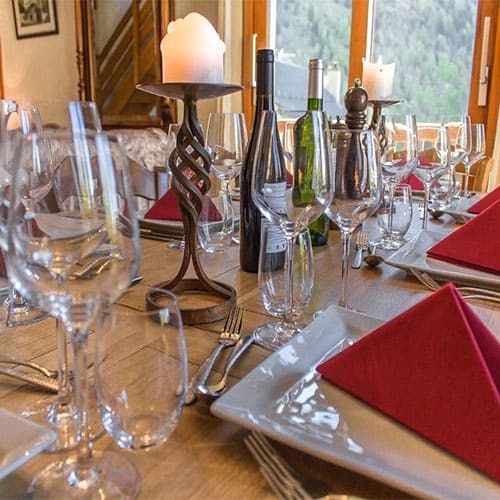 Or sit back and let your hosts look after you. 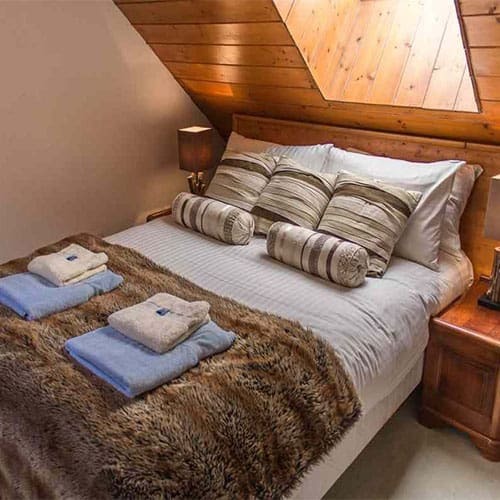 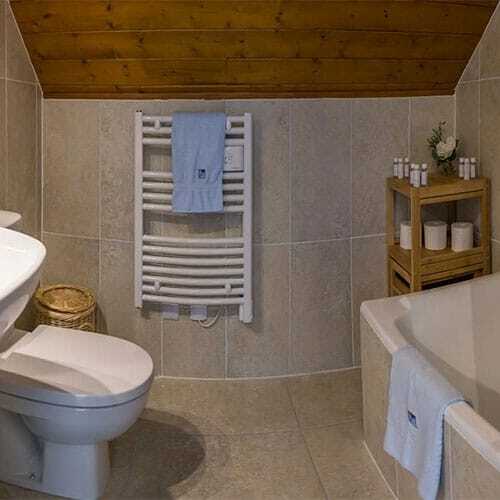 The chalet is designed to be spacious, with stone and wooden features that provide authenticity. 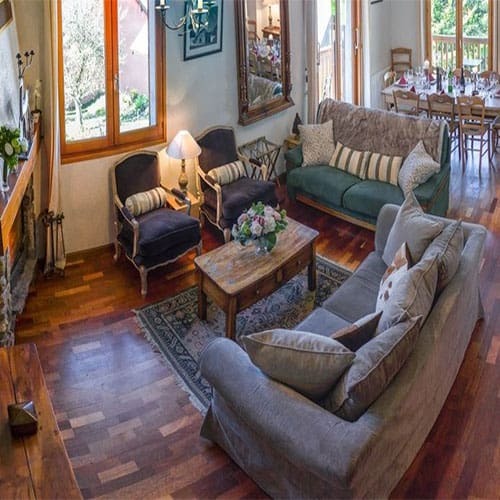 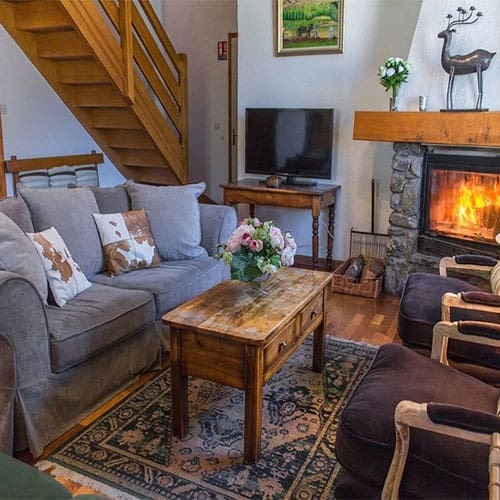 Situated in the heart of La Villette, and a short shuttle ride from the village of Vaujany, Lucette offers guests the chance to relax by the roaring wood fire whilst the finishing touches are made to your evening culinary treats. 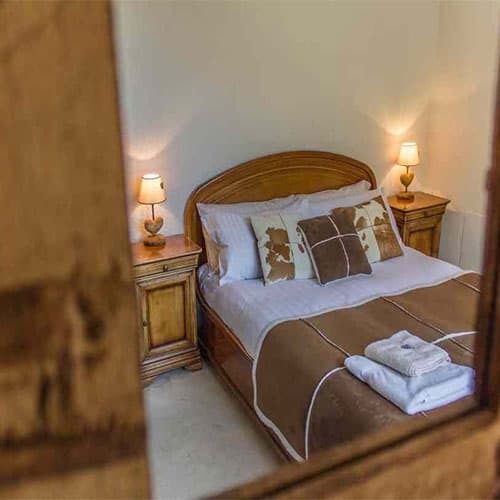 If you have chosen our catered option, all your needs will be looked after from the abundant breakfasts that greet you in the mornings, through afternoon tea and the exquisite 5+ course candle-lit dinners you’ll be served on 6 out of 7 nights.